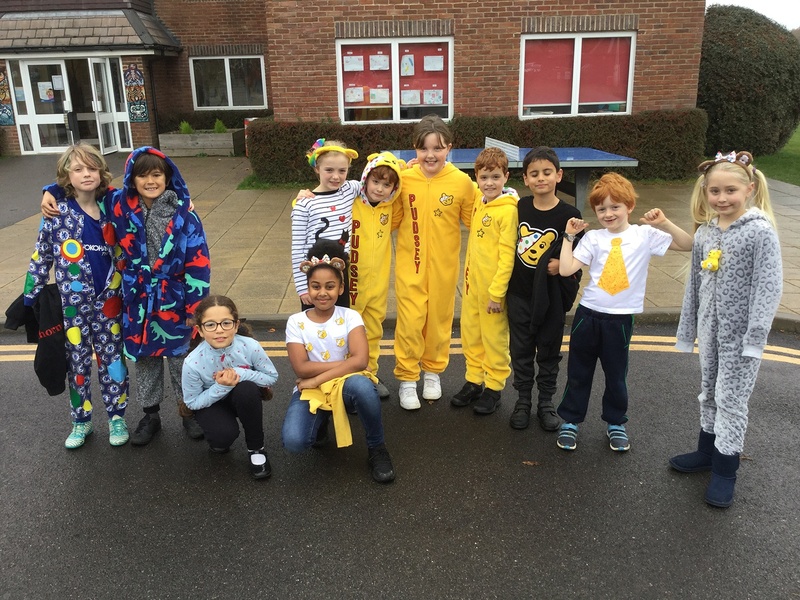 Children at Copthorne are supporting “Children in Need” today by making a donation to the charity in return for not wearing school uniform – but having as many spots as possible! We have also celebrated “Anti-Bullying week” with special Assemblies and workshops. Year 2 have been to Pizza Express; Year 8 have enjoyed exams; Year 7 have visited the Royal Observatory in Greenwich; some Year 5 & 6 girls attended a Hockey Masterclass with Crista Cullen, the England Olympic gold medallist; the David Shepherd wildlife charity have visited the school; and Mr Jones/Mrs Swadling were rowing/cycling outside the Pre-Prep this morning. Add in 19 sports fixtures on Wednesday, a swimming Gala on Tuesday; a Governors Finance Meeting and 8 new-parent tours – it has been a very busy week for everyone!